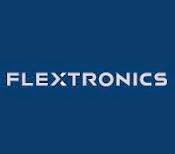 Flextronics Hiring for 2013 Passout Freshers as Intern in Chennai. Flextronics Job Openings in Chennai. Flextronics Job Openings for Flextronics Trainee / Intern Position. Interested and eligible candidates can apply apply online through the below provided link. Fresher- BE/ B.Tech (CS) or (IT) with good communication skills. Role would be technical troubleshooting/ support. This position will be on contract rolls for minimum 6 months. I am looking for job, where I can utilize my knowledge & experience for growth of company as well as in my carrier growth. I have attached my resume for your kind reference. 2. Have technical back ground in Technical back end support sales, Marketing managements, Brand promotion,Conferences promotion, Products training in medical equipment. 3. Having 7+ Years of experience in Chennai based medical manufacturing company. 4. Monitoring products development with technical r&d team & technical support for corporate, govt, pharmaceutical sectors.